In this week's 'A Bunch for the Weekend' I'm featuring two plants that florists mostly use as fillers in their flower arrangements. We are talking about Eucalyptus and Purple Limonium - two very easy and reasonably priced plants. 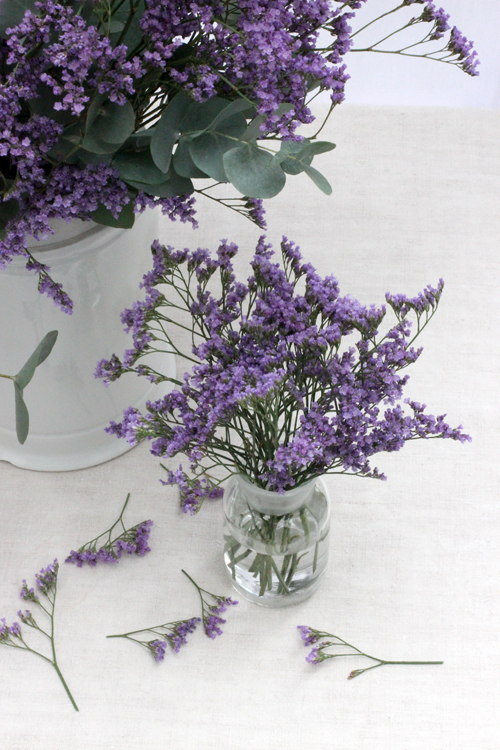 It's always a pleasure and lots of fun to buy a bunch of flowers for the weekend and this series of blog posts, called 'A Bunch for the Weekend, will show you how you can make quick and easy flower arrangements for your home. Make sure you condition the flowers as soon as you get home. 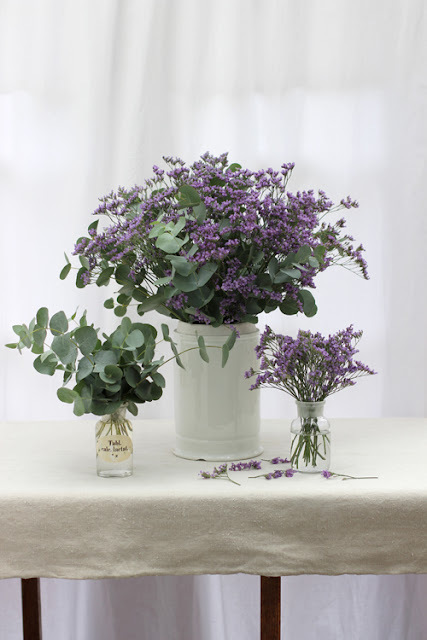 Remove any foliage that will end up below the waterline in the vase. 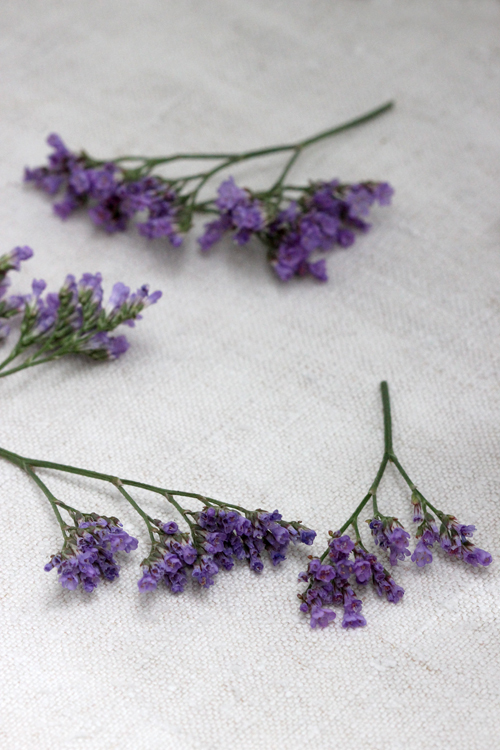 Trim the ends of the stems at an angle and put in fresh water as soon as possible. 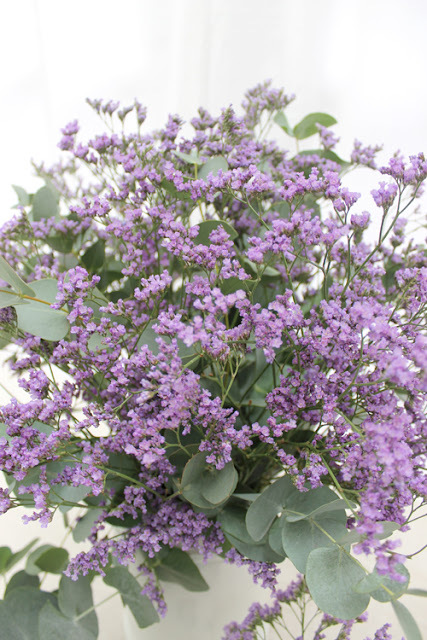 Purple Limonium is also called Statice or Sea lavender. They can last for up to two weeks - not bad going. This is a small version of the larger Statice that you often see dried and that comes in many different colours. 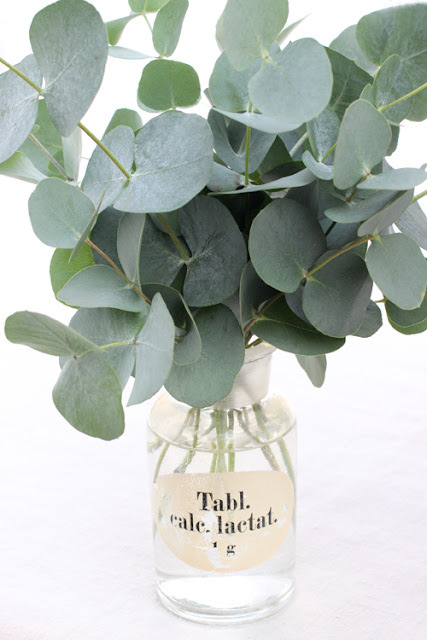 Eucalyptus foliage also lasts for ages. So a win, win situation when using both plants! Both are also strong hardy plants and straightforward to condition before making the arrangement. 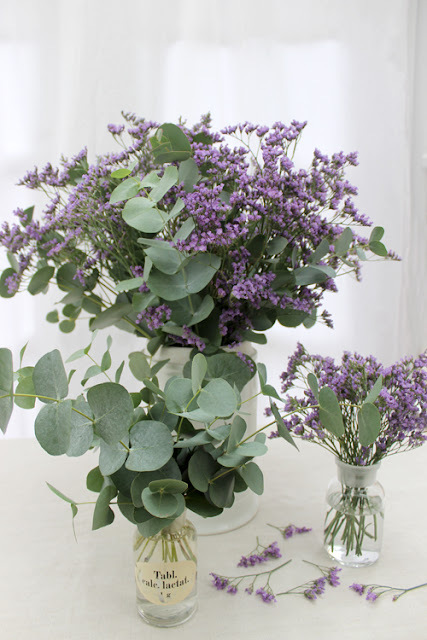 Florists use filler and foliage plants in addition to the bigger, more important and often more expensive flowers that make up the flower arrangement. Here I wanted to show that "secondary" flowers or foliage can make beautiful flower arrangements just by themself. I made up one large mixed arrangement and two small side arrangement. All three containers that I have used are vintage apothecary jars - clear glass and white china. Thank you for visiting 'Of Spring and Summer' - I will be back on Sunday with another Florets - a floral quote by someone passionate about flowers. 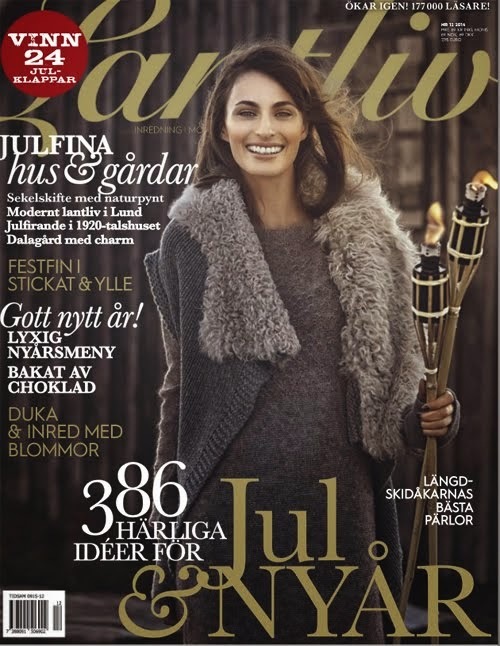 Önskar dig en mysig advent, vi hörs snart!